Thank you so much for helping me to pass my test first time! As someone who naturally lacks confidence, I thought learning to drive would be really tough but Jules immediately set me at ease with his calm and encouraging approach. I found the LD system easy to learn by and the driving skills workbook and DVD really help to reinforce what is covered in each lesson, with quizzes and step by step explanations to help prepare you for both the theory and the practical test. So, for anyone trying to decide which of the many driving schools to learn with, choose this one! 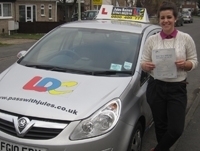 Jules is brilliant and makes lessons enjoyable, stress-free and very productive. After passing my test I learned that I was the 10th consecutive person to pass with Jules to date, meaning he has had no failures so far this year - this is an amazing record and really shows how brilliant he is and I’m really grateful for his efforts. Thank you again! 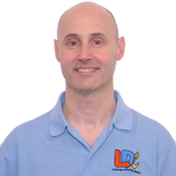 I'm a driving instructor in Loughborough, Barrow-on-Soar, Quorn, Sileby, Mountsorrel, Rothley, Birstall, Anstey and surrounding areas.